If I was somehow made in charge of the world, I would make sure every woman and man should have access to cheese, wine, chocolate, along with obviously the necessities like air and water. Cheese and wine, wine and cheese. Yes. Yes. Yes. They go together like peas and corn, Adidas and hip-hop, and coffee and cake. This age-old treat has been a favourite with people around the world for many years. But which cheese goes with which wine and vice versa? Don’t get me wrong, any cheese and wine is good, but why not make the most of your gourmet experience and get your palette popping with the perfect cheese and wine pairing hampers. 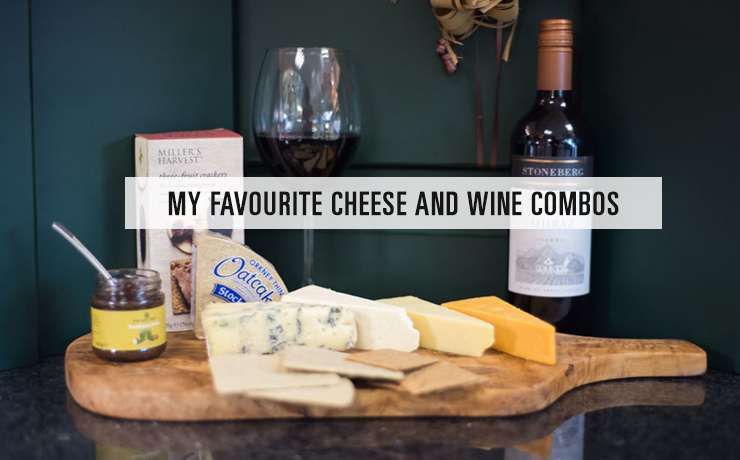 In this blog, I will give you some tips and pointers so you’re more educated when choosing your cheese and wine combos. Try to match wines and cheeses with their flavour strength. Let’s take a Pinot Noir for example. It’s a little subtler tasting and is best paired with a subtle cheese like brie. The robust flavours of a cabinet sauvignon are best paired with more robust flavoured cheese, such as an aged cheddar or gouda. The region from where your wine is from plays a large role in the flavour and tones. As it does with cheeses. When buying your wine and cheese, always look at the label or ask your local deli for some advice to which region they come from. More often than not wine and cheese from the same region will pair well together. A sweet wine such as Moscato is best paired with a pungent cheese such as a blue cheese. Again this is all about balance, as the sweetness often counteracts the pungent attributes of the cheese and these two paired together will be a mouthful of heaven. Everybody loves bubbles. The characteristics of a sparkling wine, such as the high acidity content, go great with creamy cheeses. The high acidity cleanses the palette and is ideal for drinking with a brie or camembert cheese. There are four different categories of cheeses that perhaps we should go through, so you have a better understanding and a little bit of an education, so that you can not only walk the walk, but can talk the talk on your next visit to your local deli. Fresh cheeses usually contain more moisture than other styles of cheese making them soft, pale in colour, and sometimes even spreadable. Examples of fresh cheeses are mozzarella, ricotta, goat cheese, and fetta. Bloomy cheeses are usually rich, creamy, and have a soft rind around the outside. They are moderately aged and still retain some moisture. Examples of bloomy cheese are brie, camembert, and rubella. Hard cheeses are often sharp and bitey. They are usually aged and don’t retain a lot of moisture,which makes them firm and brittle. Examples of hard cheeses are gouda, cheddar, parmesan, and pecorino. Blue cheeses are soft and stinky. Well, pungent is probably a better word for it. This cheese contains a mold that has a blueish hue. Examples of blue cheeses are gorgonzola, stilton, and of course blue. Although there are no hard and fast rules to cheese and wine pairing, above are a few tips to get you started and hopefully give you the vocabulary and know how, so next time you’re down at your local delicatessen you can talk shop with the attendant and find the perfect pairing. Using your new found cheese and wine pairing skills, you should have all the necessary ammunition in your artillery to find the next wine and cheese pairing flavour explosion. The best way to find your favourite wine and cheese combo is to experiment. It’s a great past time, so gather your friends and have wine and cheese night and enjoy discovering new flavour combinations. Another way is to buy a gift basket so it’s all done for you and you’re guaranteed to get the perfect wine and cheese pairing. For the ultimate afternoon nibble and drink, then take a look at the gourmet gift hamper. You and friends will be watching the sinking sun in style as you’re eating and drinking like royalty.